3-in-1 Developer: A Jack of All Trades or a Unicorn? If you’ve ever looked through the job ads on a platform like Indeed, you might have noticed some of the uncommon skill sets that businesses (mostly startups) are looking. For example, some of them want to hire an expert Xamarin (.net, mobile) developer with hands-on experience in ReactJS (web), while others are looking for a JS developer slash UI designer. And, while hiring Xamarin or React, or JS developers as well as design specialists is relatively easy, finding one person who can do both might be quite a challenge. So, in this article, we would like to address the main problems with the “jack of all trades” developers and explain why you should be hiring a solid team who can do the job instead of chasing after unicorns. First of all, let’s clear things up and start with the unicorn developer definition. What is a unicorn developer? A so-called “unicorn developer” is typically a highly experienced specialist with a rare or broad skill set. Yet, the term often causes confusion. Some argue that full-stack engineers are unicorns too. However, there is a certain difference. So, if you ask, “is a full-stack developer a jack of all trades?”, the answer will be “yes”. 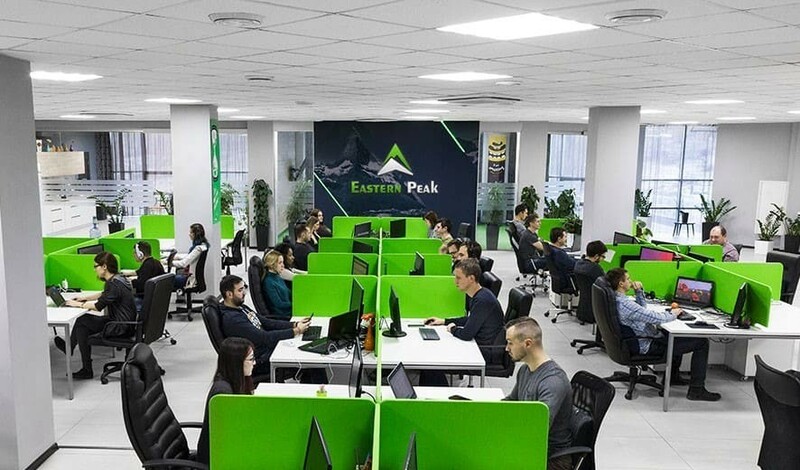 In fact, there are many great full stack developers at Eastern Peak who are proven experts in their field. Software developer unicorns, on the other hand, can possess a quite unique skill set, e.g. combine Scala knowledge with expertise in Angular and native iOS, i.e. Swift/Objective C (assuming such developers do exist). In this case, the skills don’t just cover all aspects of app development, they include rather discrepant, if not conflicting, technologies. Sometimes, it is possible that a unicorn has certain design skills as well. So, while a person can easily learn all of the aspects of web development or combine, for example, native iOS development skills with experience in RoR, actively working with so many technologies at the same time – and doing it equally well – is extremely hard (if not impossible). But what if unicorns were real? What is the downside of hiring a jack of all trades developer? The benefits of unicorn developers seem pretty obvious: instead of hiring and managing a team, you get one person who can do the job from A to Z.
Unicorn developers are hard to come by. While it’s already difficult to find a skilled full stack developer, hunting for unicorns is even harder. Even if you decide to source talent offshore, you can spend months looking for a person who is well-versed in the tech stack you require. Plus, the competition for “jack of all trades” developers is really fierce. Software developer unicorns are typically overpriced. It goes without saying that such a unique skill set comes at a price (a very steep one). Even if you take into account the demand for unicorn developers (which by the way the existing supply can’t meet), their salaries are way above average, even in more affordable offshore locations. No matter how many skills they have, unicorns are not omnipotent. A developer with a broad skill set can build a quick and dirty MVP of a simple app. However, a single person, even a one-of-a-kind unicorn, can’t handle the development of a more complex product. Good at everything master of nothing. As mentioned above, it’s possible to find a developer who knows several programming languages. Yet, it’s practically impossible to find the one who is equally good at all of them. Developers typically choose to focus on one core technology and augment it with secondary useful skills. You become too dependent on one person. If you manage to find a unicorn, building your business around a single person who is almost impossible to replace is very risky. After all, we all have our ups and downs, and we all get sick from time to time. So when you hire an irreplaceable unicorn developer, all your business processes will depend on that one single person. As a result, you can spend months looking for that special unicorn, pay thousands of dollars in salary and bonuses just to find out that that magical creature of yours is a rather mediocre developer and their impressive CV doesn’t align with their boasted tech stack. Why is it better to hire a team than a software developer unicorn? 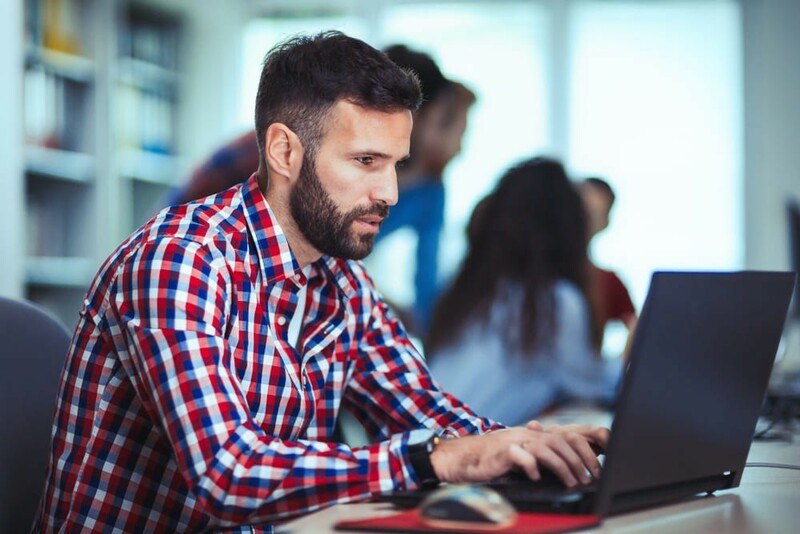 One of the main reasons why companies decide to hire a unicorn developer is that they are hoping to reduce the total software development cost. After all, hiring a single person (even with a higher salary) is more cost-efficient than employing a whole team. If you hire one person with a specific, even extremely versatile skill set, you can’t simply tell them to go and learn another language or framework if you need to expand your project’s tech stack. So, you will still need to build a team in the long run. In case you hire a team from the very beginning, you can simply add the required expertise by hiring the specialists with the required skill set. A team of developers can handle many tasks simultaneously, working in parallel. One person, no matter how skilled, can only work on one task at a time. As a result, a team can finish a 1,000-hour project much faster than one unicorn developer, even taking into account the communication and the time it takes to sync up the parts of the project developed by different engineers. Some would probably argue, but a team is easier to manage than a single developer. A well-organized team means clear roles and responsibilities, assigned to each member. That is why it is easier to manage the tasks and track the progress. A software developer unicorn needs to multitask all the time, making it difficult for you to manage the project and keep separate tasks in check. What if your unicorn developer decides to leave your company mid-project? There’s no one else who knows what’s going on in the project or how to complete it. It might take months for a new developer (that is if you find another one with the same tech stack) to sort through the existing code and understand how it works. With a team, there are several people who know every aspect of your project and can help onboard new team members if needed. As mentioned above, it is extremely risky to rely too much on a single person. 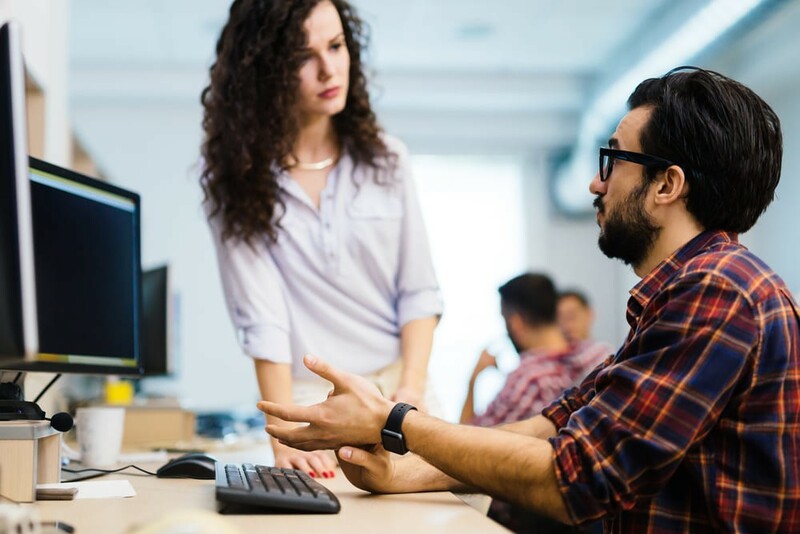 When you choose to hire a team, you can rest assured that your business processes won’t be disrupted even if one of your developers is sick or needs a day off. Hiring a unicorn developer seems like a great way to kill all the birds with one stone. In practice, however, this very stone can wind up killing your business as well. And, while there are many great multi-skilled developers at Eastern Peak, we always recommend choosing a reliable dedicated development team instead. As a result, you’ll be able to get started with your project in just a couple of weeks and lay a solid foundation for your future success. Our team at Eastern Peak offers convenient cooperation models to fit any business need. To explore the opportunities of our cooperation and learn about the benefits we can offer, book a meeting with one of our senior project managers using our contact form.